Reza | (NEW!) Edge of Illusion 2 min Trailer! 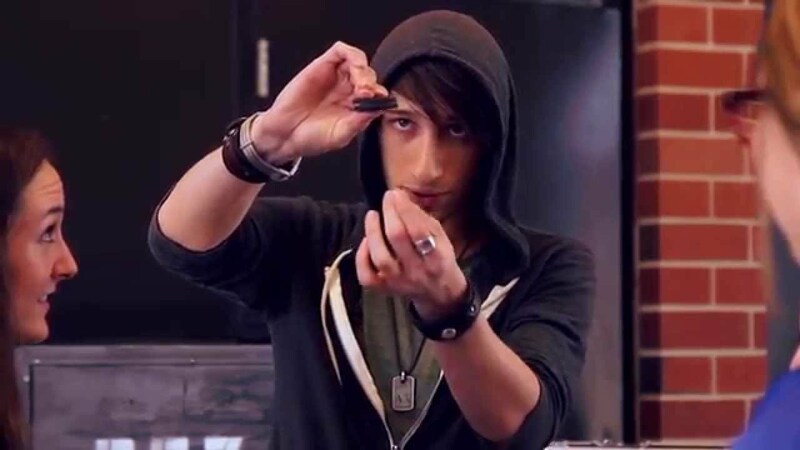 REZA | Oreo Cookie Trick! Reza making a child from the audience the star of the show. [CLICK FOR NEW DEMO VIDEO!] - As seen on: A&E's DUCK DYNASTY, THE CW's PENN & TELLER : FOOL US, and recognized as the Nation’s Top Touring & Corporate Illusionist. Reza's magic has astounded over 20 million TV viewers in 31 Countries around the World. Reza’s show merges Unbelievable Magic, Comedy, and Audience Participation, ranging from a Stand Up Show to Full Scale Stage Illusion Production. Awesome doesn't describe the act well enough! REZA was an absolutely wonderful entertainer who brought awe, humor and curiosity to our 500+ guests. REZA is a top-notch performer who is easy going, great to work with and very personable. I would highly recommend him for anyone who is planning a corporate event or just an event in general. If he can make everyone who left our Christmas party that happy and wanting more, I know he can do that for anyone! Like I said, you won't find anyone this easy to work with and has that cool of an act. Awesome job! Reza will blow you mind!!! I saw Reza perform in the Legends Theater on 10/23 and 10/24. The show was so fantastic that I HAD to come back to see what else he had up his sleeve for the second show! His illusions are flawless and had me thinking about the tricks all night trying to figure them out. Not only was the magic epic, but his banter with the audience, jokes and persona on stage was very entertaining. It made for a very well rounded show! After the show he did some meet and greet and he was a pleasure to talk with. He even took the time to sign autographs for my friends and I. Resa, I look forward to seeing you perform again sometime soon, Thank you for a very memorial night! We booked Reza for our organization's annual fundraiser in St. Louis, MO. He topped every entertainer we have ever had and brought the audience to their feet for 2 separate standing ovations. He's funny, top-notch and a true pro. Don't miss an opportunity to book or see Reza! We booked him for our Employee Holiday Party and was blown away. He was extremely engaging, great to work with, and blew the minds of our employees. We had nothing but great comments from him and would HIGHLY recommend him to anyone wanting to have a great show. Reza had the crowd engaged from the moment he took the stage and had the audience on their feet for two separate standing ovations. The amount of positive feedback I received was unbelievable. Thank you so much!!!!!! I have booked the entertainment for our annual convention for the last 7 years as well as seen several top headliners in Las Vegas including David Copperfield. Reza was by far the best entertainer I've ever seen, period. The illusions he performed were absolutely unbelievable. He had us laughing, involved, and intrigued the entire show and had two separate standing ovations from our crowd. He was great to work with as well, and his crew was very knowledgeable, friendly, and accommodating. He brought his own lighting and sound equipment which really added to the spectacular show and made it easy for us. There is no question, book Reza if you can! Best performer we have EVER had! “I was impressed not only by the illusions but by the positive example; follow you dream. In the world we live in today, virtually nothing is impossible IF you really really want it and are willing to work hard! THANKS! Don’t expect rabbits out of hats! In Reza’s current tour, audiences will experience his original cutting edge illusions, such as a split-second appearance of a real motorcycle and passing himself though a seven foot diamond plate steel wall. In addition to the full scale illusions, Reza also merges audience participation with the magic, and features his astounding slight-of-hand with the aid of a live camera feed to a 10 foot projection screen. The production tours with a state-of-the-art rock concert lighting and sound system to set the atmosphere for an edge of your seat evening of magic. Reza is intriguing, engaging, and captivating. He has the ability to connect with his audiences and let them feel his magic on a personal level. He isn't just a magician. He is an entertainer. 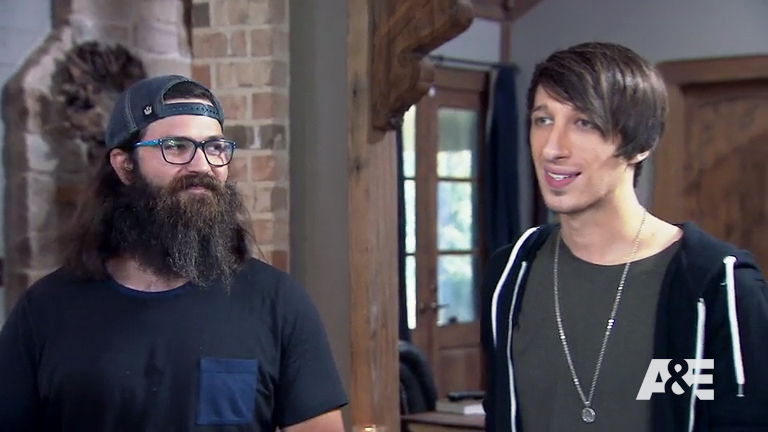 AS SEEN ON A&E's DUCK DYNASTY & THE CW's PENN & TELLER : FOOL US! This show travels self-contained; bringing in all lighting, sound, projection, props, crew, etc. Reza is available for appearances ranging from stand-up performances to his own full scale Las Vegas style production. Contact our office today for a FREE consultation specifically for your event! "Hands Down, The Best Magician I've Ever Seen!" "One of the World's Top Illusionists!" "A Rock Concert meets a Magic Show!"